How to achieve greater body mechanics and why it matters. Misalignment of your knees and joints are a result of something called hyperpronation. This happens when your ankles roll excessively when you stand, walk or run. When untreated, hyperpronation can cause aches, chronic pain, and injury to your body. Acti-Fit insoles are designed to even out your posture and your musculoskeletal system from head to toe. 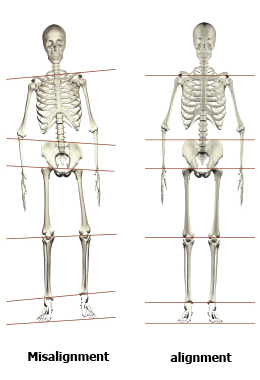 When your posture is aligned, you can actively live a better and healthier life. Heat the bottom of the insole with a hair dryer at high (preferably 1200 watt) for about 3 minutes. 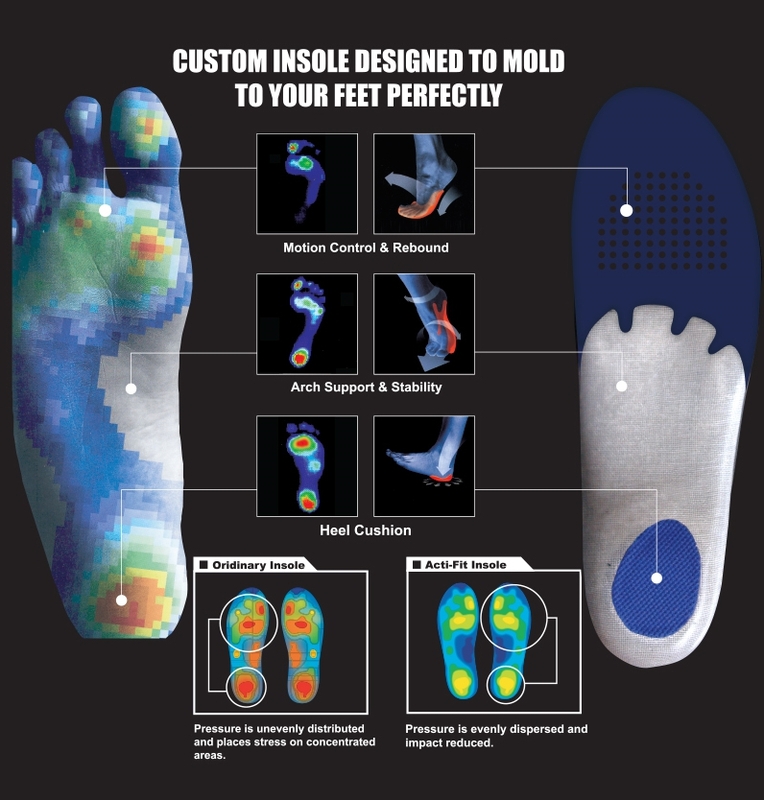 Revolutionary custom fit insoles that mold to your feet in just 3 minutes. Made of Poron best shock absorbing and compression material available. Revolutionary Nano silver coating protects against bacteria. Feet are clean & healthy from dirt & germs.